Olaf's Frozen Adventure (film, 2017). A 2017 American 3D computer-animated featurette, produced by Walt Disney Animation Studios and released by Walt Disney Pictures. It is film with "G" rating by Walt Disney Studios Motion Pictures. Directed by Kevin Deters, Stevie Wermers. Official Trailer. Olaf's Frozen Adventure is a 2017 American 3D computer-animated featurette, produced by Walt Disney Animation Studios and released by Walt Disney Pictures. It is film directed by Kevin Deters and Stevie Wermers. 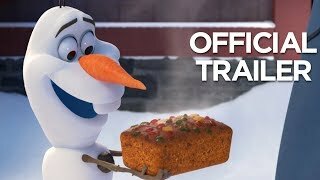 Olaf's Frozen Adventure - Official US Trailer. It is the first Christmas season since the gates reopened and Anna and Elsa host a celebration for all of Arendelle. When the townspeople unexpectedly leave early to enjoy their individual holiday customs, the sisters realize they have no family traditions of their own. Elsa laments the fact that because she had isolated herself most of her life, she and Anna were unable to spend time with each other. Olaf decides to look for traditions with Sven's help. Going through the town, Olaf encounters various family traditions relating to Christmas, Hanukkah and Winter solstice. After a visit to Oaken, Olaf, Sven and their sleigh full of traditions travel through the snowy tundra only for a coal (from a portable sauna that Oaken had given them) to set the sleigh on fire. They slide down a hill and Olaf and Sven end up separated by a chasm. 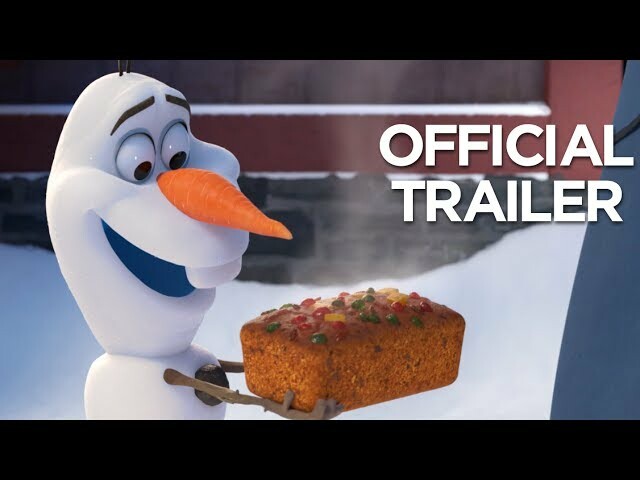 With only a fruit cake, Olaf attempts to travel through the woods and is attacked by wolves. Meanwhile, Anna and Elsa discover some forgotten items in their attic where they find things from their past. Sven returns to Kristoff and informs him (in vain), Anna, and Elsa of Olaf's plight. They gather the residents of Arendelle to go look for Olaf. Elsewhere, Olaf manages to escape the wolves, but loses the fruit cake to a hawk and gives up by a tree not too far from the kingdom. Anna and Elsa find Olaf and cheer him up by revealing that they do have a tradition: Himself. After Elsa had shut herself away, Anna began annually sliding cards and dolls of Olaf under her door. As they all celebrate the holidays, the hawk drops the fruit cake on Olaf. Upon getting the fruit cake back, Olaf declares it "A Christmas miracle!" The film Olaf's Frozen Adventure was scheduled to be released by Walt Disney Studios Motion Pictures on November 22, 2017 (with Coco). The duration of the film is 21 minutes. Olaf's Frozen Adventure got high rating from critics. But the audience dislikes the film.